Drug abuse is a bad thing – anyone who’s taken a D.A.R.E. class or watched the downward spiral of Lindsay Lohan knows this. It’s not news either, we humans have experienced addiction for centuries. Opium is one of our historical favorites, but these days there are plenty of addictive drugs readily available if you know who to ask. It’s interesting that addicts are often considered weak and immoral (often blamed for “choosing” their lifestyle), because a large body of scientific evidence goes against these ideas. Instead, scientists actually believe that addiction is a complex disease stemming from both genetic and environmental factors. It is not a choice, and we should all work to undo the stigma surrounding addiction so that we can provide better care for those who suffer from it. This applies to more than drug and alcohol addictions. Gambling, for example, can wreak just as much havoc as substance abuse. It’s challenging to study drug addiction in the lab because the government has strict regulations on controlled substances (lol, thanks Obama). 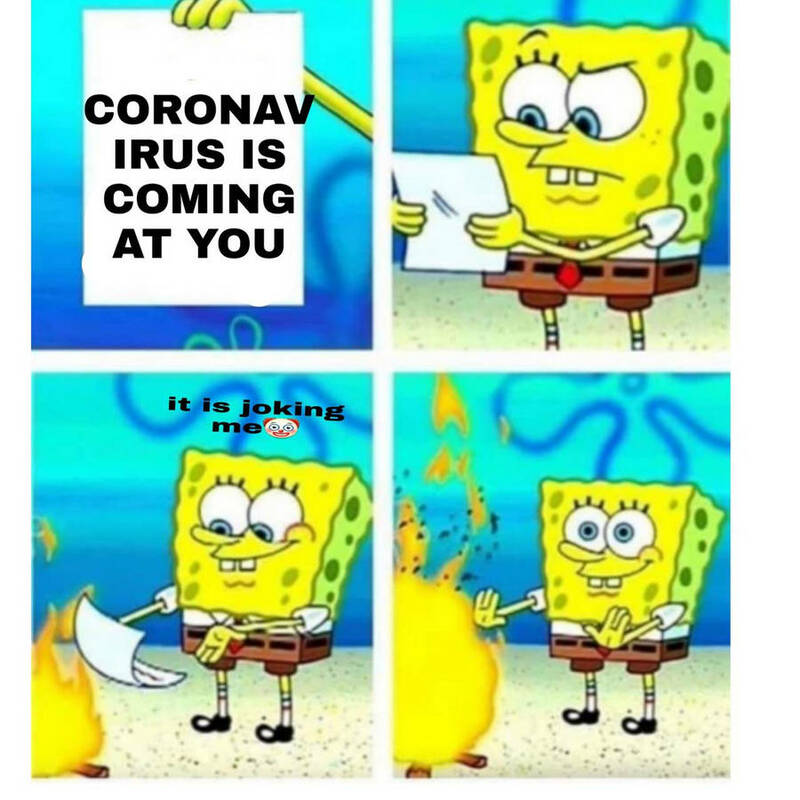 But some studies do exist! Many of them use rats with surgically implanted devices that deliver precise drug doses. The animals are housed alone in special cages and trained to perform a task for drug infusions, like pressing a lever. Using this method many (but not all) will develop addiction and scientists can study their brains to learn more about how it all happens. They can also use these studies to develop lifesaving drugs like naloxone, the antidote for morphine overdose. 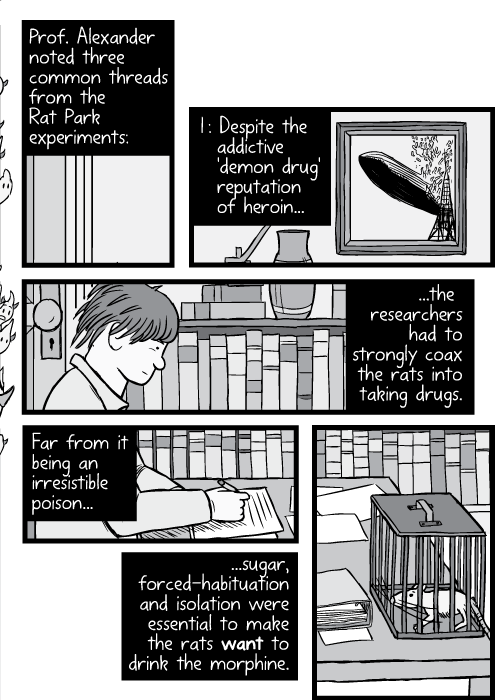 But does a rat in solitary confinement really teach us about the experience of human addicts? Addiction is complex, there seem to be genetic predispositions as well as powerful social influences. We have to build our foundation of the bare basics before we can get anywhere, and that’s why scientists often design their experiments this way. It minimalizes variables and theoretically simplifies the results. Their results are clear. 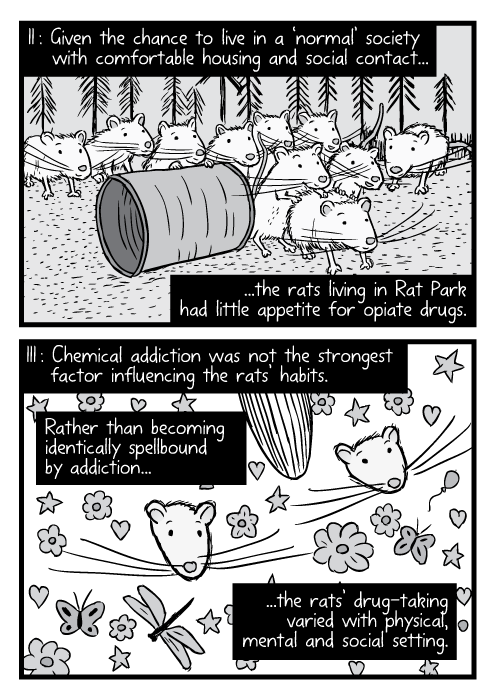 When given an enriched environment, the rats were less interested in taking drugs. 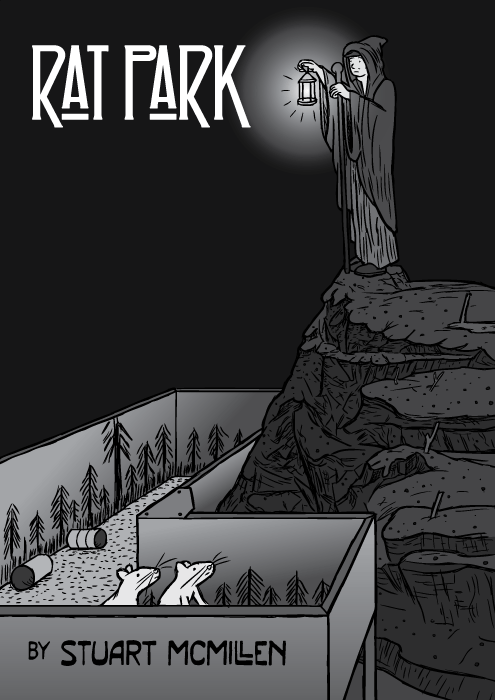 They didn’t want to start taking drugs, or return to them if they were already addicted when they entered Rat Park. This comic by Stuart McMillen describes the experiments exquisitely. He really hits the nail on the head about why and how the work was done, and more importantly, what this means for human health. Please read it, I promise you’ll enjoy it. It might even change your perspective on addiction! The following are three panels summarizing the big picture, but you can click here to read the rest. Quite frankly, McMillen is a badass storyteller. The take home message is this: because addiction has strong social aspects it is important to consider these factors when designing experiments, and even more so when interpreting results. The more we can understand the psychological, physical, and chemical aspects of drug dependence, the better equipped we will be to treat individuals that suffer from addiction.